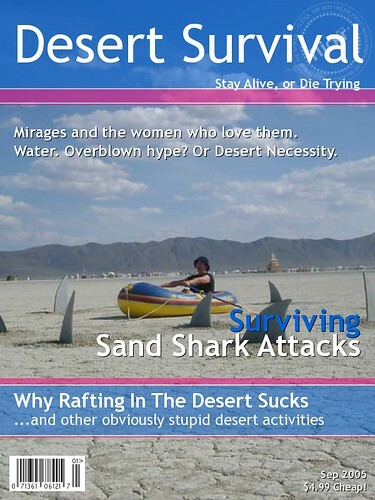 Well I’ve decided to start a new magazine called Desert Survival. Check out the inaugural issue. Ok, I lie. I built this using the fun and friendly Magazine Cover creator. Took me all of five minutes. Now it’s time to quit goofing off and get back to work.